CLOSEOUTS. 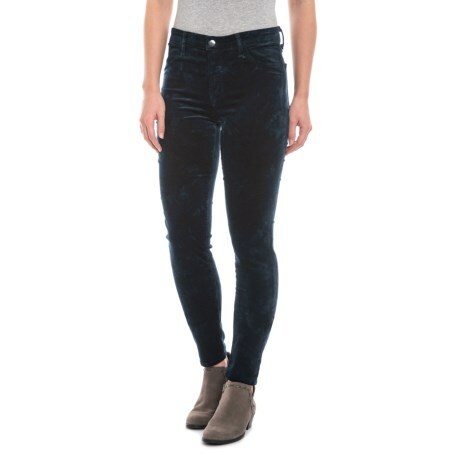 Crafted of stretchy cotton-blend denim, J Brandand#39;s Crystal Dark Iris 815 Mid-Rise Super Skinny jeans slim your silhouette in all the right ways for a flattering finish. Available Colors: CRYSTAL DARK IRIS.